ANDREW HARPER | Truth for the Luxury Traveler | by Christina Valhouli | 07.2018 "...The Berkshires, a mountainous region in western Massachusetts, offers a unique blend of culture, nature and excellent food, all roughly two and a half hours from both Boston and New York City... Although the Berkshires offer plenty of winter sports, summer is one of the best times to visit, when Tanglewood is in session and the weather is warm enough to hike or canoe. 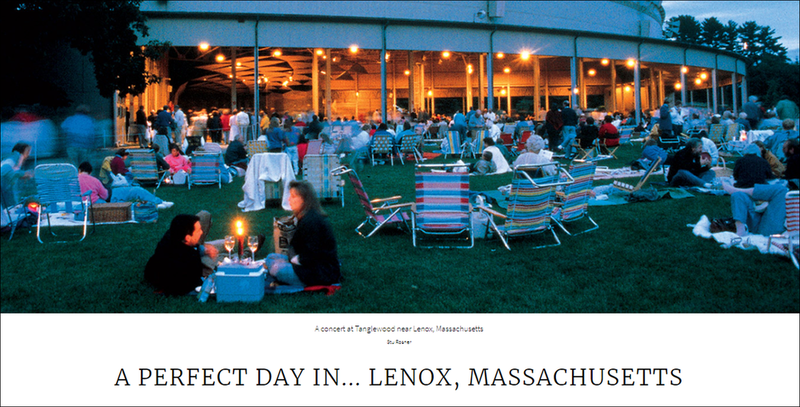 For the perfect Berkshires day, base yourself in Lenox, hire a rental car and get ready to eat, hike and enjoy art... Pop into 4 For Art (53 Church St.) to view a mix of contemporary and folk art, as well as fine textiles..."
"THE Berkshires is one of the go-to places for urbanites and others who want to spend the summer or even a few days enjoying the charms of New England; flora, fauna, and culture. The home of Tanglewood and Jacob’s Pillow, Mass MOCA and many other institutions, it now welcomes a new art gallery 4forART in Lenox, Mass. It marks the return of gallerist and art historian Ute Stebich and three other partners: Jane Kasten, Liz Thompson and Akkie Martens; all long-time residents of the region..."
"A group of friends had lunch after not seeing each other for several years. They had a lot of catching up but also agreed that what happened in the future was important. They each wanted to do something they all loved and to work together. They quickly settled on opening an art gallery. Ute Stebich with Akkie Martens had a very successful gallery in Lenox for many years, as did Jane Kasten in Great Barrington..."